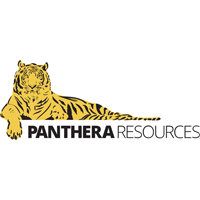 The stock price for Panthera Resources PLC with EPIC code: LON:PAT has stepped up 4.59% or 0.43 points during the course of today’s session so far. Investors have remained optimistic throughout the session. The high for the period has peaked at 9.68 and hitting a low of 9.04. The total volume of shares traded by this point was 160,578 whilst the daily average number of shares exchanged is just 529,504. A 52 week share price high is 14.5 amounting to 5.25 points in difference on the previous days close and a 52 week low being 1 a difference of some 8.25 points. Panthera Resources PLC now has a 20 SMA of 8.68 and also a 50 day SMA of 5.49. The current market capitalisation is £6.54m at the time of this report. The currency for this stock is Great British pence.Market cap is measured in GBP. This article was written with the last trade for Panthera Resources PLC being recorded at Tuesday, March 19, 2019 at 11:40:03 AM GMT with the stock price trading at 9.68 GBX. The share price for J Sainsbury plc ticker lookup code: LON:SBRY has stepped up 2.55% or 6 points in today’s trading session so far. Buyers have stayed positive while the stock has been in play. The high for the period has reached 241.3 meanwhile the session low reached 234.7. The total volume of shares exchanged through this period comes to 4,621,792 whilst the daily average number of shares exchanged is just 12,661,554. The 52 week high is 341.8 which comes in at 106.9 points in difference to the previous days close of business and a 52 week low sitting at 221.9 making a difference of 13 points. J Sainsbury plc now has a 20 SMA at 236.43 and also a 50 day MA at 265.21. This puts the market cap at £5,304.35m at the time of this report. Share price is traded in GBX. Mcap is measured in GBP. This article was written with the last trade for J Sainsbury plc being recorded at Tuesday, March 19, 2019 at 12:17:37 PM GMT with the stock price trading at 240.9 GBX. The trading price for Johnson Matthey PLC with EPIC code: LON:JMAT has gained 1.82% or 58 points in today’s trading session so far. Buyers have remained positive during the session. Range high for the period so far is 3242 meanwhile the session low reached 3182. Volume total for shares traded during this period was 72,803 while the daily average number of shares exchanged is 526,952. The 52 week high for the share price is 3873 around 689 points difference from the previous days close and the 52 week low at 2574 a difference of some 610 points. Johnson Matthey PLC has a 20 day moving average of 3177.7 and now a 50 day simple moving average now at 3094.3. Market capitalisation is now £6,274.35m at the time of this report. The stock is traded in GBX. Mcap is measured in GBP. This article was written with the last trade for Johnson Matthey PLC being recorded at Tuesday, March 19, 2019 at 12:17:36 PM GMT with the stock price trading at 3242 GBX. The share price for Mondi Plc with ticker code: LON:MNDI has increased 1.01% or 17.67 points throughout today’s trading session so far. Buyers have remained optimistic during this period. The period high was 1773.67 meanwhile the session low reached 1743.5. The total volume of shares exchanged through this period comes to 622,308 while the average shares exchanged is 1,921,492. A 52 week share price high is 2250 which comes in at 495.5 points difference from the previous days close and putting the 52 week low at 1557.5 which is a difference of 197 points. Mondi Plc now has a 20 moving average of 1827.13 and the 50 day moving average at 1838.52. Market capitalisation is now £8,613.02m at the time of this report. The currency for this stock is GBX. Market cap is measured in GBP. This article was written with the last trade for Mondi Plc being recorded at Tuesday, March 19, 2019 at 12:17:22 PM GMT with the stock price trading at 1772.17 GBX. Stock in Rolls-Royce Holding PLC EPIC code: LON:RR has risen 1.07% or 9.7 points throughout the session so far. Investors seem confident during the session. The high for the period has reached 918.6 and a low of 905.4. The amount of shares exchanged has so far reached 443,071 with the average number of shares traded daily being 5,137,248. The 52 week high is 1104.5 which is 196.1 points different to the previous business close and a 52 week low sitting at 9.88 making a difference of 898.52 points. Rolls-Royce Holding PLC now has a 20 simple moving average of 940.65 and the 50 day SMA of 917.33. The market capitalisation is now £17,405.38m at the time of this report. The share price is in GBX. Mcap is measured in GBP. This article was written with the last trade for Rolls-Royce Holding PLC being recorded at Tuesday, March 19, 2019 at 12:17:31 PM GMT with the stock price trading at 918.1 GBX. The trading price for Royal Bank of Scotland Group plc with EPIC code: LON:RBS has gained 1.17% or 3.15 points throughout the session so far. Buyers are a positive bunch during the trading session. The periods high has reached 272.15 meanwhile the session low reached 268.4. Volume total for shares traded during this period was 3,711,761 with the average number of shares traded daily being 19,047,700. The 52 week high for the share price is 297.4 some 28.4 points difference from the previous days close and the 52 week low at 200.1 which is a variance of 68.9 points. Royal Bank of Scotland Group plc has a 20 SMA of 263.74 and now its 50 day moving average now of 250.31. The market capitalisation is now £32,790.51m at the time of this report. The stock is traded in GBX. Mcap is measured in GBP. This article was written with the last trade for Royal Bank of Scotland Group plc being recorded at Tuesday, March 19, 2019 at 12:17:17 PM GMT with the stock price trading at 272.15 GBX. Click JMAT MNDI PAT RBS RR SBRY for the full archive.